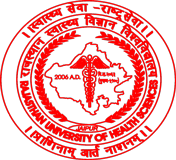 RUHS Dental Officer Syllabus PDF Download, RUHS Dental Officer Previous Question Papers PDF, RUHS Dental Officer Model Question Paper PDF – Rajasthan University of Health Sciences (RUHS) has recently published a recruitment notification to fill up Medical Officer (Dental), under Rajasthan Medical Services Rules – 1963. Candidates who are eligible and interested they can apply online mode through the official site before the last date. Applicants also check other details related to RUHS Medical Officer (Dental) Recruitment 2018 like how to apply, selection process, educational eligibility, model question papers, syllabus, dental question papers, and more details given below. Candidates who are preparing for RUHS Dental Officer posts they must and should check Old Question Papers, Syllabus and Model Question Papers to get a high score in the exam. Below you can download question paper pattern and syllabus. Topics: Conservative Dentistry & Endodontics, Orthodontia, Oral Medicine & Radiology, Periodontia, Oral Surgery, Prosthodontics & Crown Bridge, Paedodontics.